IQS Directory provides an extensive list of euro pallet manufacturers and suppliers. Utilize our website to review and source euro pallet manufactures with our easy-to-use features which allow you to locate euro pallet companies that will design, engineer, and manufacturer euro pallets for your exact specifications. Our request for quote forms make it easy to connect with leading euro pallet manufacturers. View company profiles, website links, locations, phone number, product videos, customer reviews, product specific news articles and other production information. We are a leading manufacturer directory who will connect you with the right manufacturers whether you are looking for stackable euro pallets, recycled euro pallets, or stackable custom pallets. With over 20 years of experience manufacturing plastic pallets, euro pallets, and more. We believe in offering the customer service of past decades. We offer full customization in everything we do, and we offer extra services, like on-time delivery and a whole lot more. Our goal is to ensure that all of your needs are met to the best of our abilities. If you would like to learn more, visit us online today! Robinson Industries is committed to making euro pallets easy to move, store, identify and access. We can custom design pallets to fit your unique needs. We serve the automotive parts, glassware, textiles, computer parts and many more industries and applications. We put your needs first and promise a 100% customer satisfaction guarantee. Visit our website today. 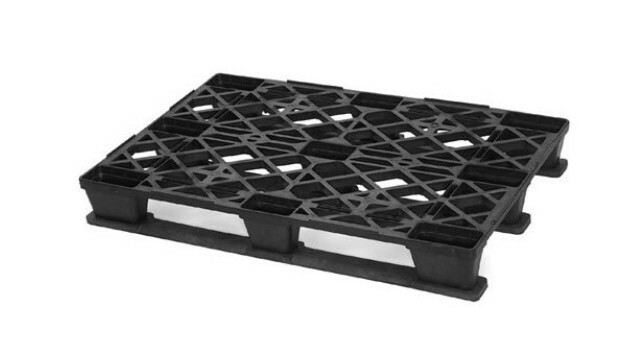 Turn to Vantage Plastics for top of the line euro pallets. These solutions are long lasting and can withstand a variety of tasks. We are a reliable supplier who looks out for your needs every step of the way. You will not be upset with the solutions you receive. Visit our website and request a quote today. All of Rehrig Pacific Company’s customers demand sustainable transport packaging solutions creatively designed to help handle and protect their products safely and more efficiently and provide an excellent return on investment. With a family tradition of growth, service and innovation that spans four generations, we promise to have the best euro pallets available on the market. Polymer Solutions International has been committed to providing its customers with a completely satisfying buying experience since 1997. Whether our customer wants euro pallets or another product from our extensive product line we promise to provide them with a knowledgeable engineering team, a caring and expert customer service team and excellent product support. Euro pallets, also known as E pallets or EU pallets, are plastic pallets used for the transportation and storage of materials to and from and within the European Union. In order to be officially recognized as a Euro pallet, a pallet must, for one, be produced by a registered member of the European Pallet Association (EPAL), which is a non-profit organization focused on maintaining high quality pallet standards. In addition, the pallet must adhere to the standards of the International Union of Railways. Finally, if a Euro pallet has been properly produced, it will be stamped with the EURO symbol and an indication that it was made by a member of EPAL. EPAL standardizations are so thorough that even the number of nails and the positions in which they are hammered are regulated by an EPAL design. Euro pallets are used in a variety of industries, such as retail and commercial goods, food and beverage, industrial manufacturing and pharmaceuticals. To make things easier for both those exporting things out of their country into Europe and those receiving goods in Europe, Euro pallets are accompanied with standard size guides. Such guides help exporting companies know how many containers can fit into a set space, such as a shipping container. It is important that American companies make sure to package the goods they are sending into Europe on Euro pallets, because if they do not, the European importers must pay extra taxes related to the waste of excess packaging and, since American pallets are essentially useless in Europe, they must also dispose of the American pallets and replace them with Euro pallets. The disposal and replacement of pallets incur extra costs, generate more waste and slow down the import process as well. Euro pallets can be ordered in a variety of different sizes, but four sizes in particular are ordered and used most frequently. These four sizes are: 1200mm x 800mm x 120mm, or in US standard measurements, 47.24 in x 31.5 in x 4.7 in; 1200mm x 1000mm, or 47.24 in x 39.4 in; 1000mm x 1200mm, or 39.4 in x 47.24 in and, finally, 600mm x 800mm, alternatively calculated as 23.7 in by 3105 in. Respectively, these pallet sizes are referred to as Pallet EUR, Pallet EUR 2, Pallet EUR 3 and Pallet EUR 6. Of these, the most commonly used is Pallet EUR, which is also referred to as a “whole pallet.” Whole pallets are designed specifically to fit through the dimensions of most average sized doors. Pallet EUR 2 pallets are slightly largely than whole pallets and thus cannot be used quite as universally. They are, however, very durable. Pallets with the Pallet EUR 3 designation have the exact opposite dimensions as the Pallet EUR 2 pallets; they are known to be quite large and durable. Finally, coming in at half of the width of Pallet EUR pallets, Pallet EUR 6 pallets are also known as “half pallets.” Note that, in order to make it easier on non-European companies, the International Standards Organization (ISO) has created a list of alternative standards that coincide with Euro pallet sizes. The original Euro pallet design was developed by Swedish companies in the 1940s as a wooden pallet and standardized in the 1960s. However, in recent years, the wooden Euro pallet has been largely replaced by the plastic Euro pallet, since plastic offers so advantages that wood does not, particularly in the worlds of shipping, storage and recycling. Plastic is much more resistant to mold, mildew, rot, bacteria growth, water absorption impact and other environmental and circumstantial factors. It is also less expensive. Plastic pallets may be formed in a few different ways, including thermoforming, vacuum forming, injection molding and injection blow molding. A few of the plastic materials most commonly used to make plastic pallets like these include polyethylene resin and recycled rigid polyvinyl chloride (PVC). Choosing to transport and store products and goods using Euro pallets is a wise decision. By taking the extra step to make the lives of your European trade partners and/or customers easier, you foster better relationships. Your business transactions will also advance more smoothly and quickly. In the end, Euro pallets save time and money. In addition, those pallets bearing the EPAL stamp are eligible for the European Pallet Pool (EPP), a system that allows for the exchange of pallets for pallets. To learn more about Euro pallets, shipping from the United States to Europe or how you might have Euro pallets delivered to you, reach out to one of the many knowledgeable companies listed on this page. Open deck Euro Pallet – Enviro-Pack Material Handling Inc.